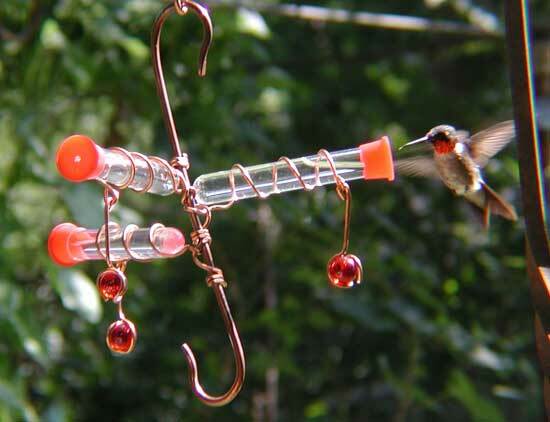 Whimsy Three Hummingbird Feeder - SEHHWHM3. Three (3) red glass beads dangle and red caps attract the hummingbirds like a magnet. This feeder features a bottom hook, allowing it to serve double duty to hang flower baskets, wind chimes and more.